In Part 1 of this series, we discussed the architectural principles of playability, width and strategy and options. We’re now moving on to the art of routing, variety and naturalness. These abilities are often what separates good and great architects, as the ability to uncover and maximize the best pieces of a property – while minimizing redundancy and artificiality – is extremely difficult. If you gave 30 architects an identical property, each would come back with 30 unique plans. What separates the great from the good is their abilities to use these three principles to maximize a potential site. Routing is how an architect determines order and location of the golf holes on a property. Typically, the process of routing a golf course involves numerous walks of the land and a detailed study of a topography map to determine how to best use the land and its natural features. In an ideal world, the golf course architect is given a large plot of land and is allowed to use the land as a blank canvas, selecting the property where they think they can create the best 18 holes of golf. Ideally, they are the ones that choose which land gets used for golf holes and where the clubhouse goes. At Sandhills Bill Coore and Ben Crenshaw had 10,000 acres of land to choose 18 holes. Unfortunately, many times architects are forced to route a golf course around a housing development, a small plot of land, environmental restraints or a set location for the clubhouse. In this case, architects are forced to use their creativity. Here are some basic concepts that architects use when routing a course. The most basic and sometimes difficult aspect of routing is identifying the best natural features for golf holes and getting the most out of them. There are many different schools of thought on how to use a property’s best land but these holes must be some of, if not the most, memorable on the golf course. An example of this that I love is Seth Raynor’s Blue Mound Golf and Country Club in the Milwaukee suburbs. Raynor was given a nearly dead-flat piece of property with the exception of a small back corner with considerable elevation changes. On this corner he maximized memorability by creating a short, downhill par 3 and followed it up with a thrilling uphill par 4 that plays to a punchbowl green. Walking is a vital aspect of golf and its roots. When an architect lays out a design, the walking golfer should always be considered. This means limiting walks from tees to greens and also doing their best to not reveal holes by creating lengthy walks back to certain tee boxes. A myth that needs to be debunked is the idea that a course has to have a “balanced scorecard” (a par 72 with two par 5’s and two par 3’s on each nine). This myth became popular during the post-golden age era of architecture (1950’s thru the early 2000’s). Simply put, it can lead to poor design. By trying to fit a specific property into an equation, you limit the potential of how great a golf course can be. Great routing will never make a par 4 into a par 5 because they need it for the scorecard. 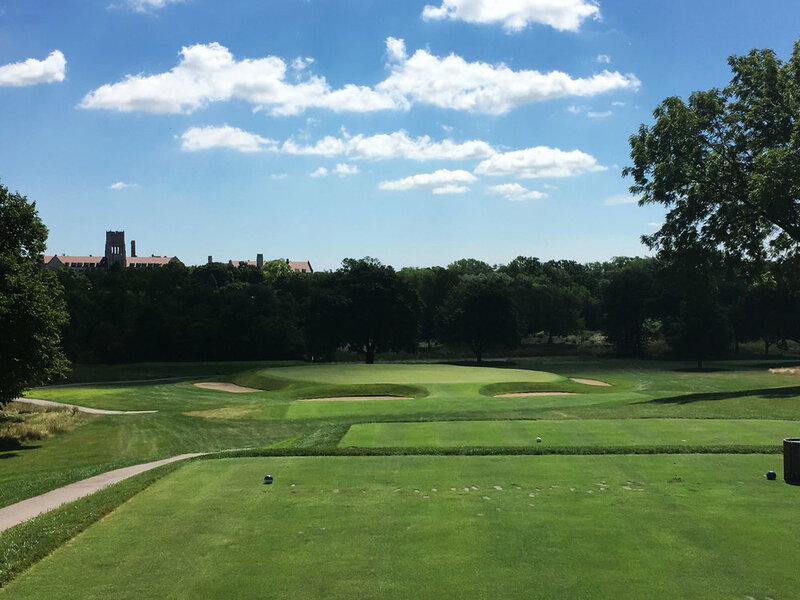 Some examples of courses that debunk this myth are Donald Ross’ Wannamoisett, a par 69 that happens to be one of the finest courses in the country. Two modern examples are Pacific Dunes and Cabot Cliffs, each of which have non-traditional setups but are two of the best designs in the last twenty years. 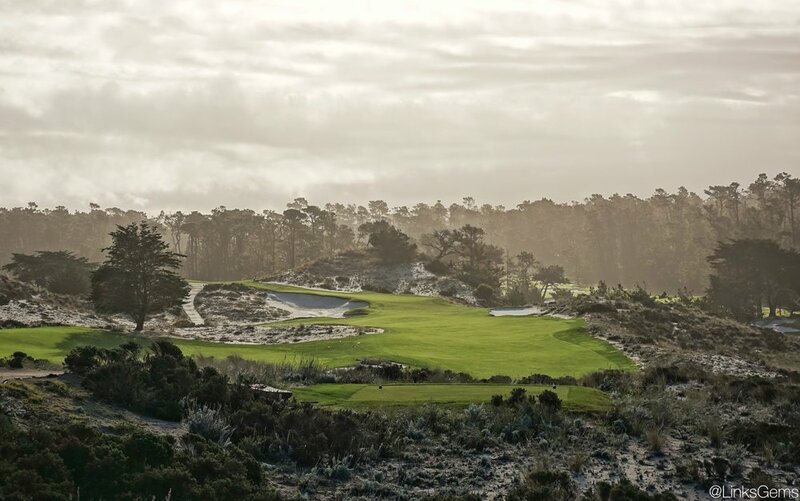 Tom Doak’s design at Pacific Dunes has only one par 3 and one par 5 on its front nine and is a par 36. On the back nine, it has four par 3’s and three par 5’s, playing as a par 35. At Pacific Dunes, Doak allowed the land to dictate the design, rather than letting a desired par and setup dictate the design. At Bill Coore and Ben Crenshaw’s modern masterpiece Cabot Cliffs, golfers are treated to an unconventional six par 3’s, 4’s and 5’s, which all work together to create a par 72. Much like Doak’s Pacific Dunes, Coore and Crenshaw didn’t try and force a system to create the design and the results were masterful. Every great golf course tells a story, a story that is shaped in part by the routing. Great stories have many layers and moments of thrills and lulls before a fitting conclusion. The routing needs to have variety in its design to provide the highs and lows of a great story. A golf course that has consecutive holes of the same length or shot type is hardly interesting. Likewise for a course that requires a player to hit the same club on all the par 3’s. This is why variety within a golf course design is so important. There are many different aspects to variety and the greatest golf courses in the world will have differentiation in all of these aspects. A round of golf should be an examination of a golfer’s entire skill set, therefore a design must have variety in its holes to test all aspects of a player's game. A short par 3 tests a player’s wedge game while a long par 3 tests his or her capabilities with a long-iron or fairway wood. Similarly, par 4’s and 5’s need to have variety in distances. A short par 5 filled with risk tests a player’s appetite for gamble, while a long par 5 tests their strategy and ability to play to the correct angles. The most boring courses I have ever played were filled with 300-350 yard straight par 4’s. A course that has great variety in its par 3’s is Chicago-area masterpiece Shoreacres. Its four one-shotters play to a variety of distances: 215, 170, 130 and 190, testing all aspects of a player’s game. A course that exudes great variety will have very few holes that are similar in succession. If a hole is similar to another, they should be separated by a fair amount of holes. A good course should test player’s ability to hit a wide range of tee shots, testing their accuracy and provoking strategy. It should possess variety in the shots they reward, with both left-to-right tee shots and others that favor right-to-left shots. Around the putting surfaces is a great place to infuse variety by creating unique green complexes and surrounds. The green complexes should come in different shapes and sizes and possess different sloping, making each unique green complex require a different type of shot to be played for success. The most beautiful places in the world are natural in their settings. This principle applies to golf courses as well and an architect’s toughest job is making manufactured design features appear natural and uncontrived. Many of the world’s greatest courses are the ones that fit in with their natural setting. Look no further than Scotland’s early courses, which were built with no earth-moving equipment and whose architects were forced to rely on the land’s natural movements. The same applies with how Alister Mackenzie’s rugged bunkers fit in beautifully with Cypress Point’s naturally sweeping sand dunes. Check out part I of Golf Course Architecture 101 if you missed it and sign up for our newsletter to get all of our architecture posts including next week's Golf Course Architecture 101 article! Enter your email below and get our golf newsletter. Our subscribers make more birdies!